Roger Dobson, our CEO, has been interviewed in Norway for Hal Stewart's Big Friday radio show. Great exposure for the work of the Club. 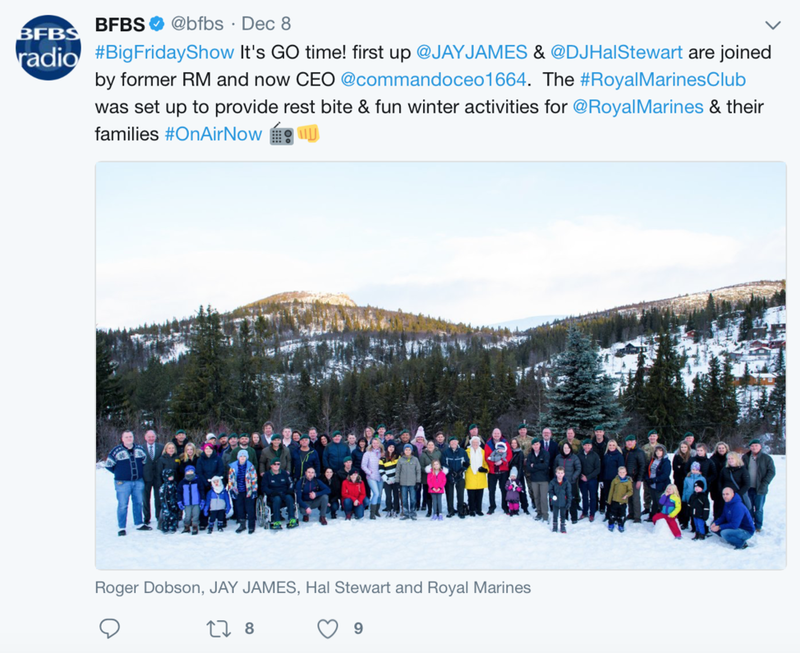 Thanks BFBS! 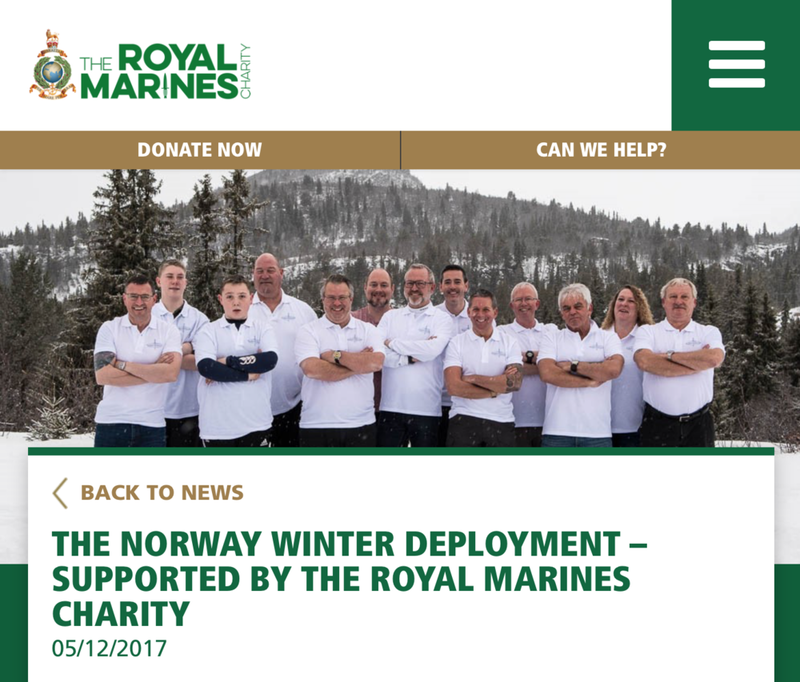 Also, great to see that The Royal Marines Charity has highlighted their contribution to our Juleferie Winter Deployment too.